Lerkendal Stadion opened on 10 August 1947, but was at its inauguration just a pitch with a few makeshift stands. When in the early 1960s Rosenborg celebrated various successes and its popularity increased rapidly, a first major upgrade became necessary. Between 1961 and 1963 two new concrete stands were built and a few years later floodlights were installed. The record attendance at Lerkendal was set in 1985 when 28,569 people visited a Norwegian Cup match between Rosenborg and LSK. Few changes were made to the stadium though until the club qualified for the Champions League in 1995 and had to settle for a heavily reduced capacity (due to safety requirements). One year later, in 1996, a new stand (Adidas Stand) opened, though capacity remained limited with 14,000 places. Soon Champions League money started flowing in and funding became available for a major redevelopment. Two new stands opened in 2001 and in the following year a new main stand was built opposite the Adidas Stand. The new Lerkendal Stadion, which had cost a total of NOK 252 million, officially opened on 6 October 2002 with a match against Stabæk. The stadium has a total of 1,338 VIP seats. 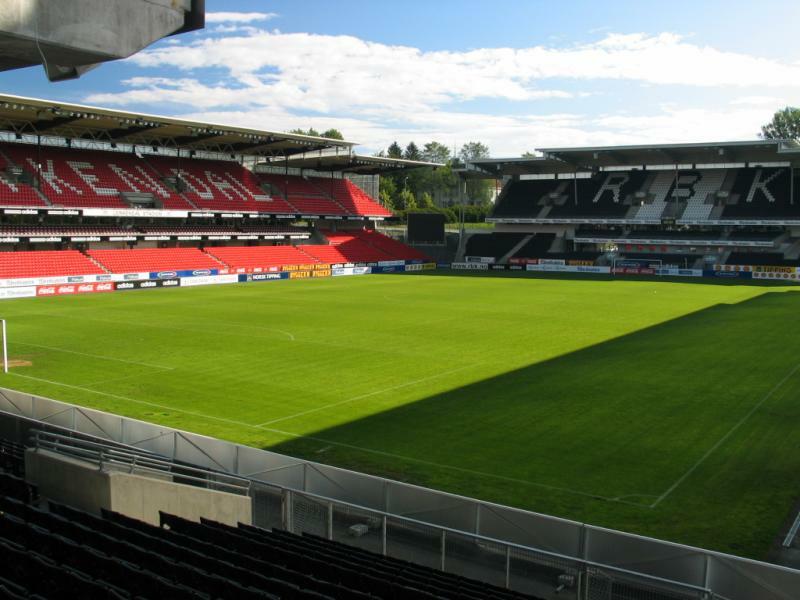 Lerkendal Stadion is located toward the south of the city of Trondheim, about 2 kilometres from the city centre and slightly further from the main rail station. The walk to the stadium, which should take about 30 minutes, goes in one straight line following Prinsens Gate and Elgeseter Gate south. Alternatively, take bus 8, 55, 60, or 66 from Munkegata (or Prinsens Gate) in the city centre. The ride only takes about 5 minutes. Get off at stop Lerkendal Stadion. There are however many more buses that pass at close distance from the stadium. Any bus stopping at Prof Brochs Gate will do. 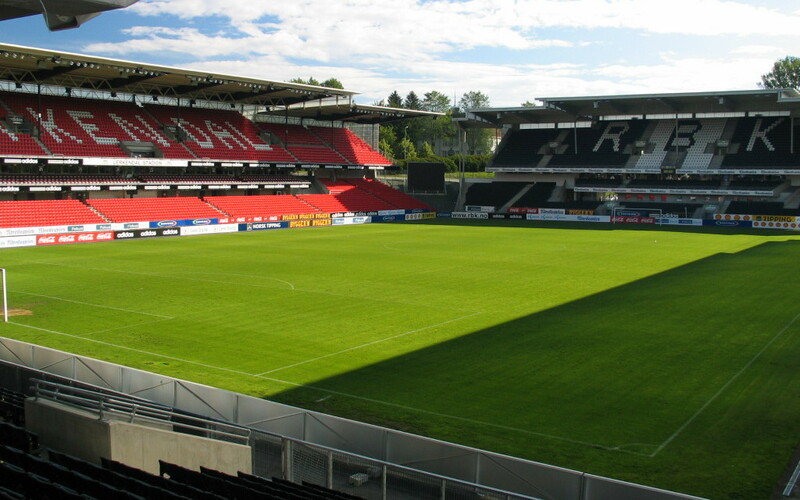 Lerkendal Stadion is located in a quiet neighbourhood consisting of mostly residential houses and some offices. There are few local chain restaurants in the area if you need a quick bit, but there are many more options in Trondheim’s city centre. If you are looking to stay close to the stadium, then the well-rated Scandic Lerkendal right next to the stadium will be your pick. Hotel St. Olav is another option a 15-minute walk away on the way from the city centre. 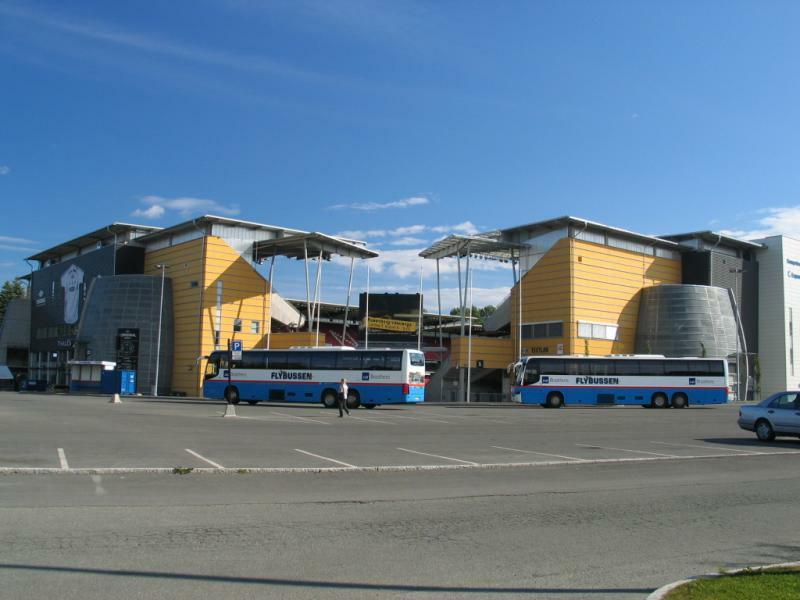 Click here for an overview of hotels near Lerkendal Stadion. Otherwise, there are plenty of options in Trondheim’s city centre – click here for an overview. Matchday tickets can also be bought at the gates of the stadium on the day of the match. Rosenborg rarely sells out. Ticket prices depend on the opponent, but typically range between NOK 160.00 and NOK 395.00. For more information email billett@rbk.no. RBK.no – Official website of Rosenborg Ballklub. Trondheim.no – Official website of the city of Trondheim. Atb.no – Trondheim public transport information.